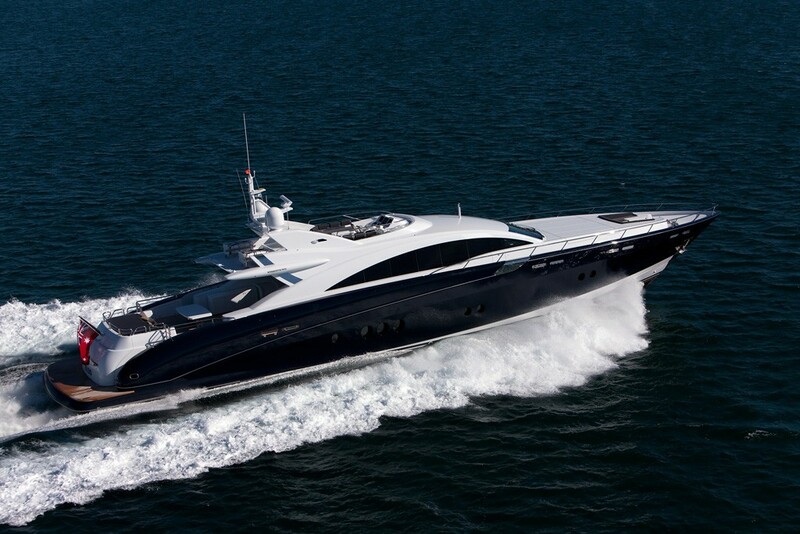 The Warren superyacht QUANTUM (ex GHOST II) is a 37,57 metre (120 ft) 2009 Warren Yachts s120 motor yacht. 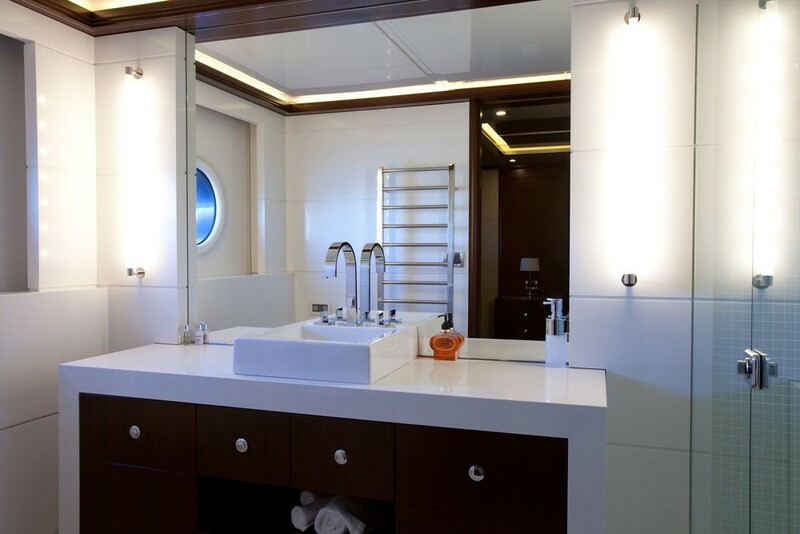 M/Y QUANTUM was designed by Peter Lowe (Naval Architect) and Anthony Starr Design (exterior and interior design) and she can accommodate up to 8 lucky yacht charter guests. 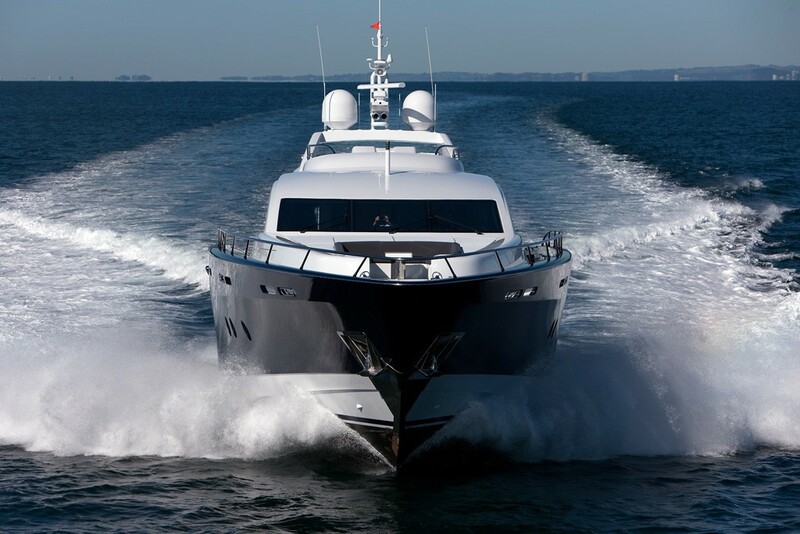 A performance sport yacht QUANTUM is able to cruise at around 20 knots and her twin MTU 16V2000 M93 2400 hp main engines propel her to around 26 knots at top speed. 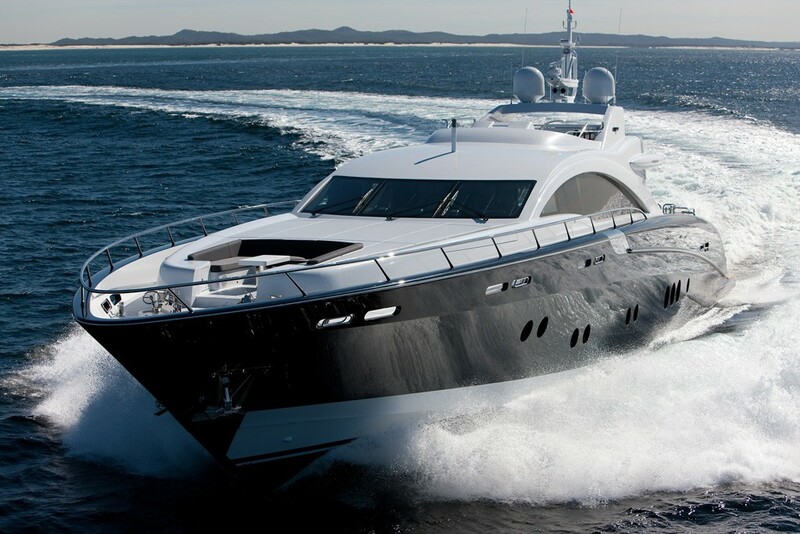 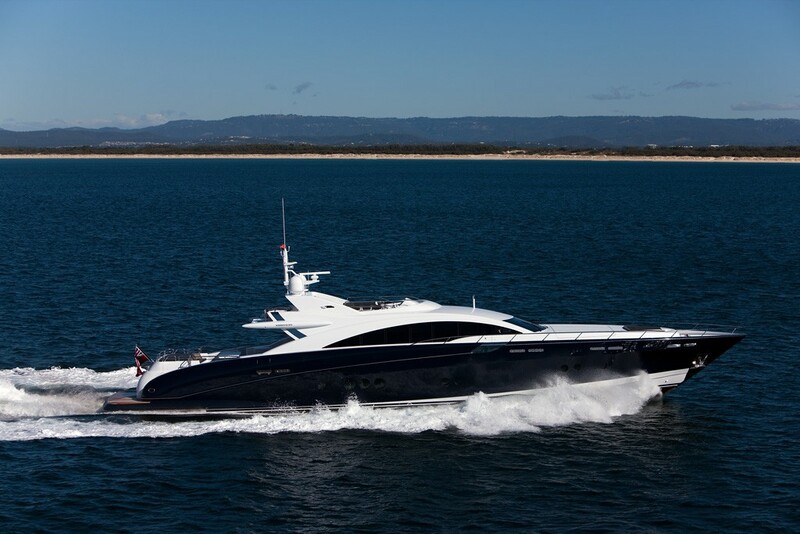 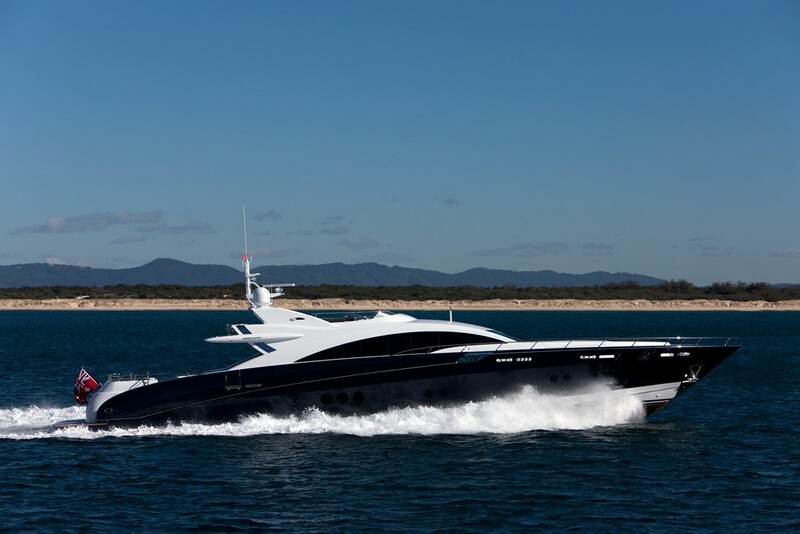 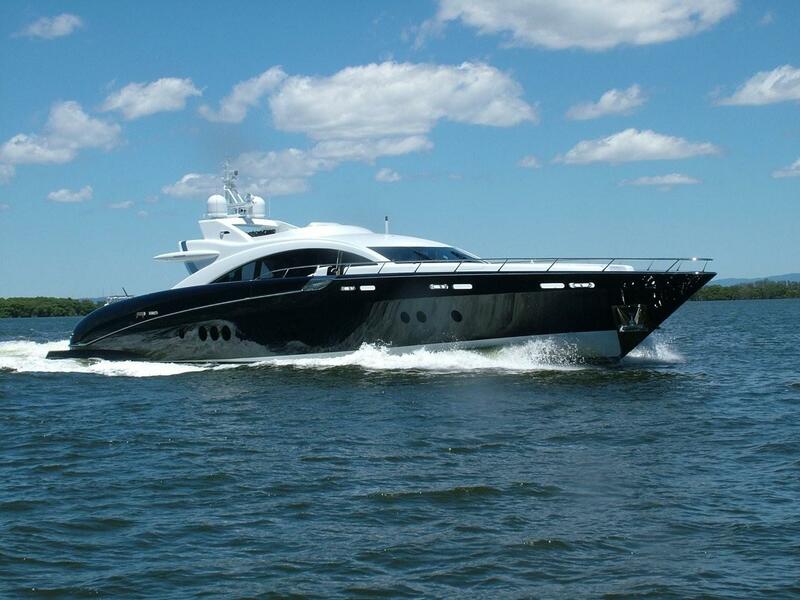 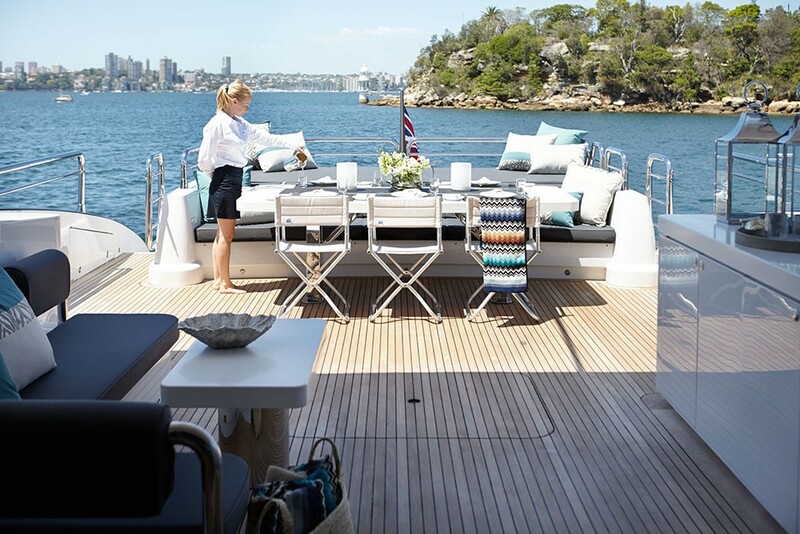 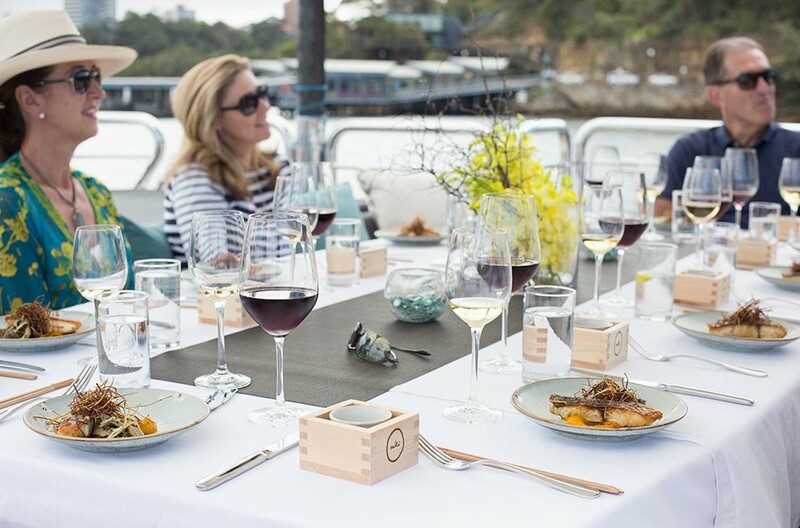 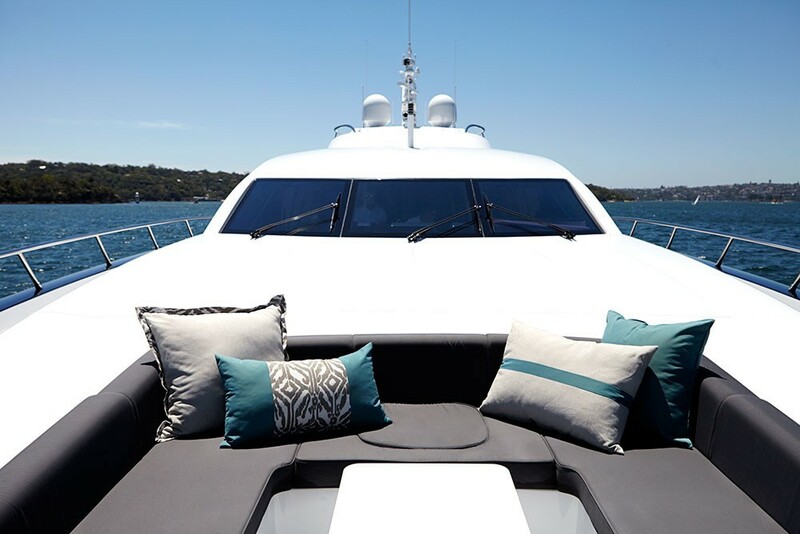 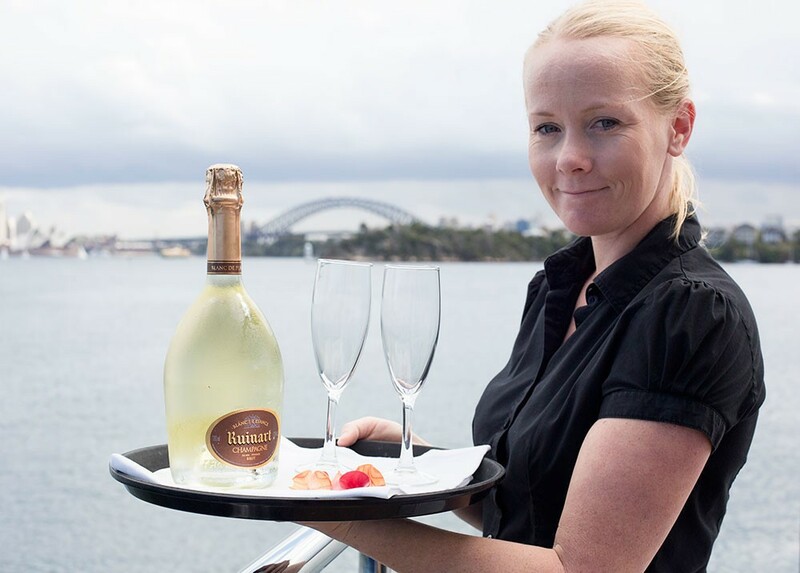 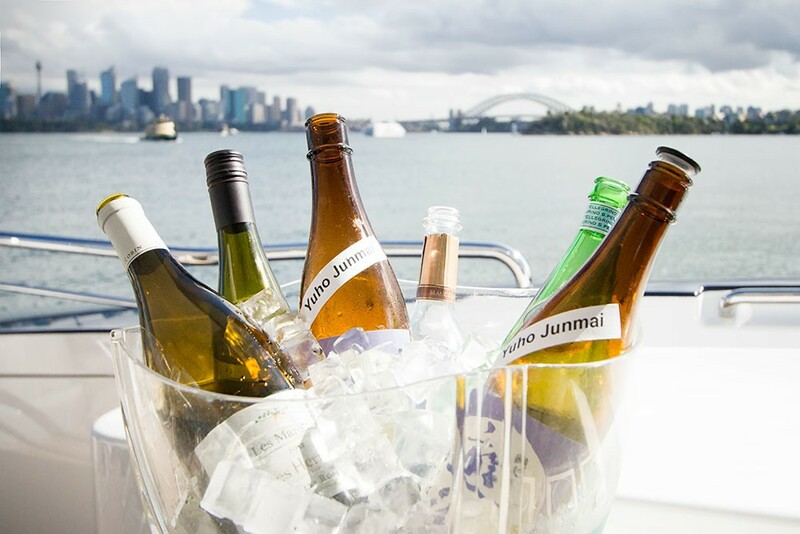 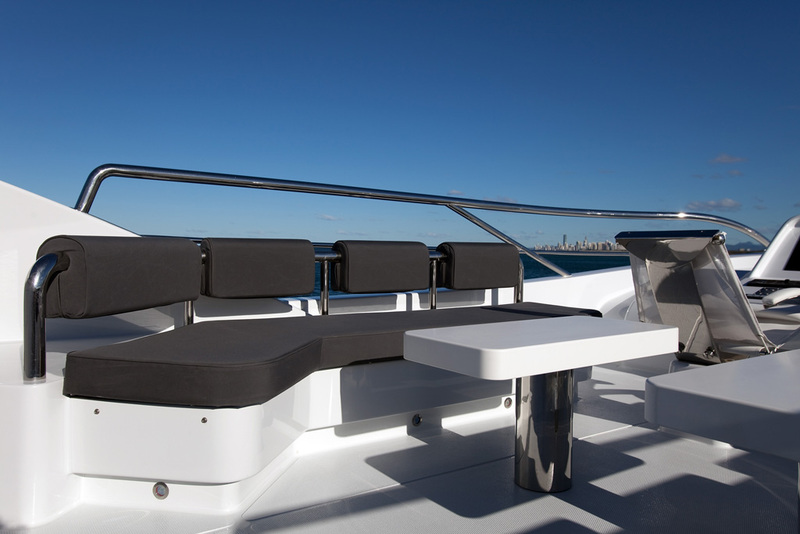 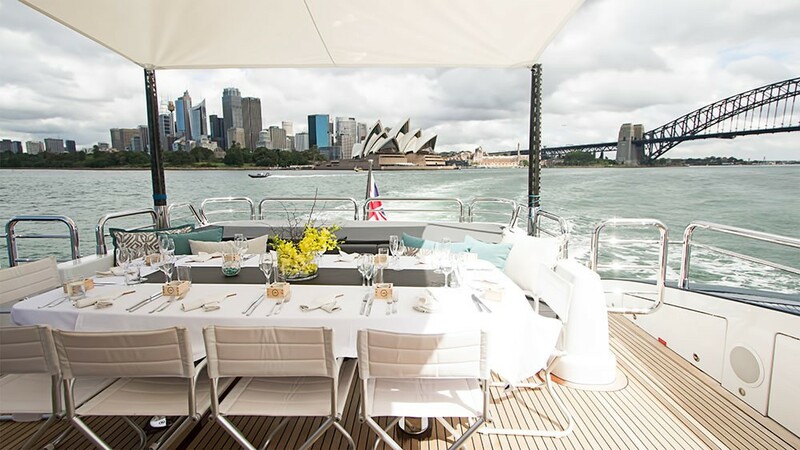 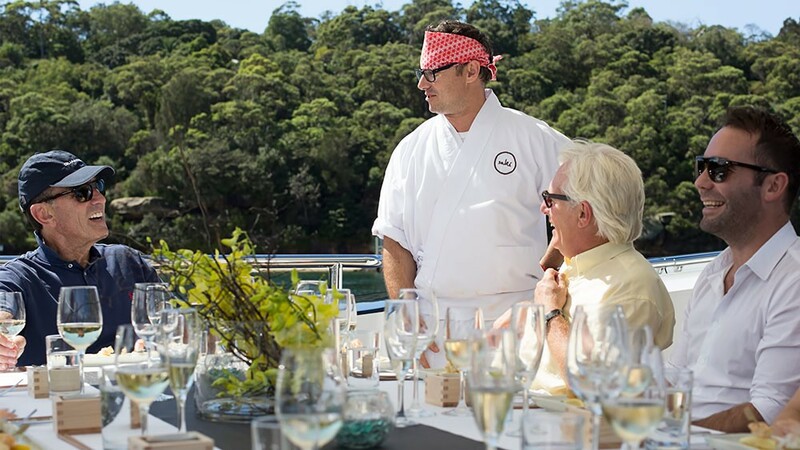 Luxury yacht QUANTUM is available for luxury yacht charters in Sydney and surrounding areas in Australia. 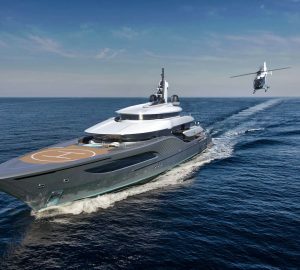 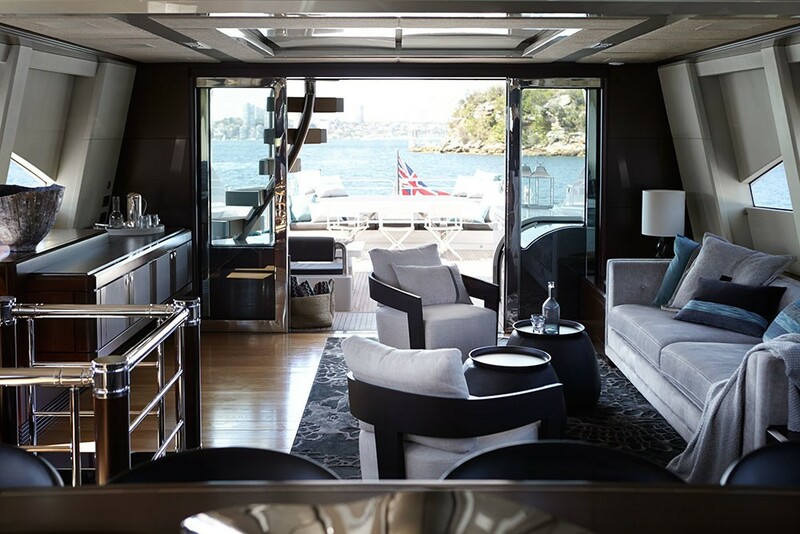 From the yacht builder about the QUANTUM superyacht: "Warren S120 Sports Yacht The ability to create and deliver highly sophisticated yachts of custom-build quality and true custom fit and finish have found a waiting and most appreciative audience. 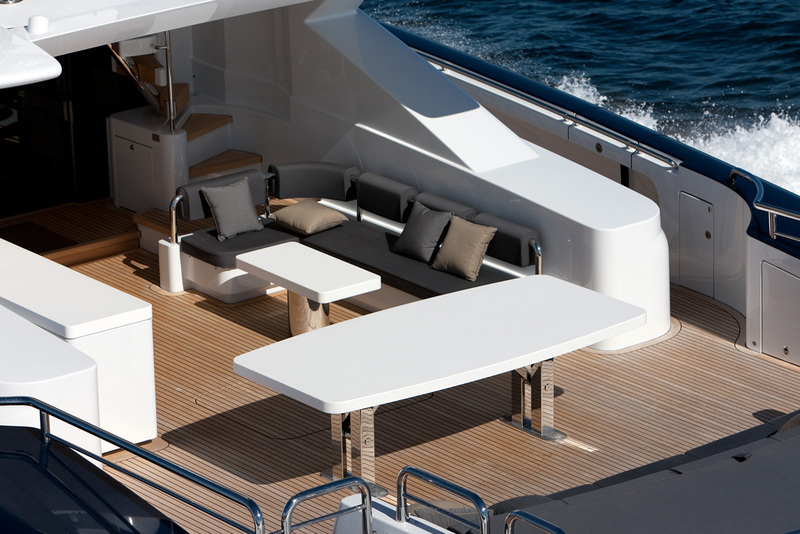 The new S120 yacht widens the existing gap. 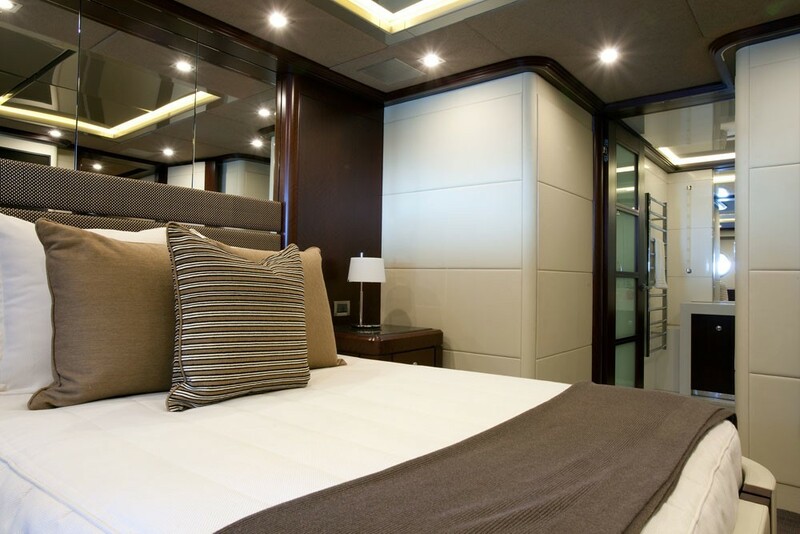 Multi-stateroom versions and general arrangement options are available, as well as a wide selection of equipment, engine and drive options, custom interior furnishings and individual styling preferences. 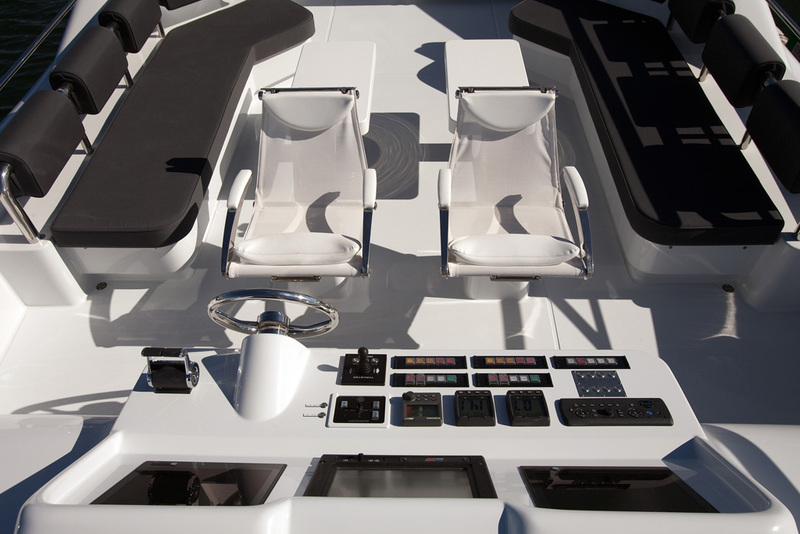 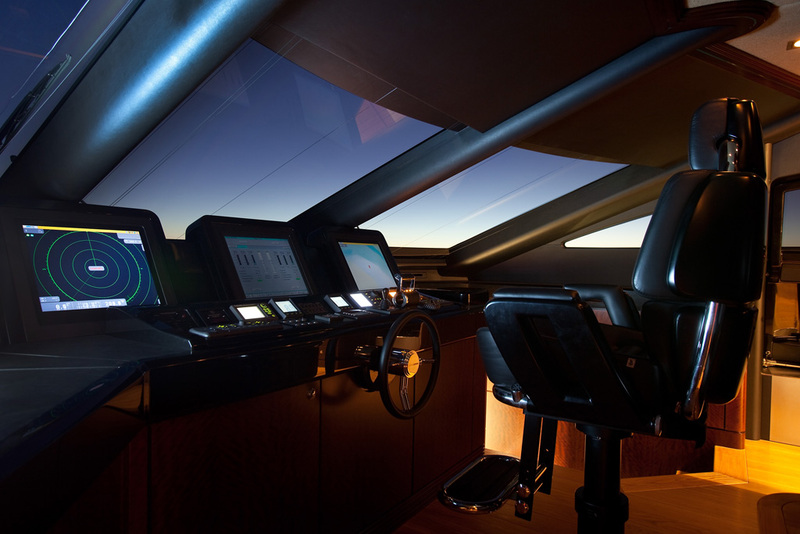 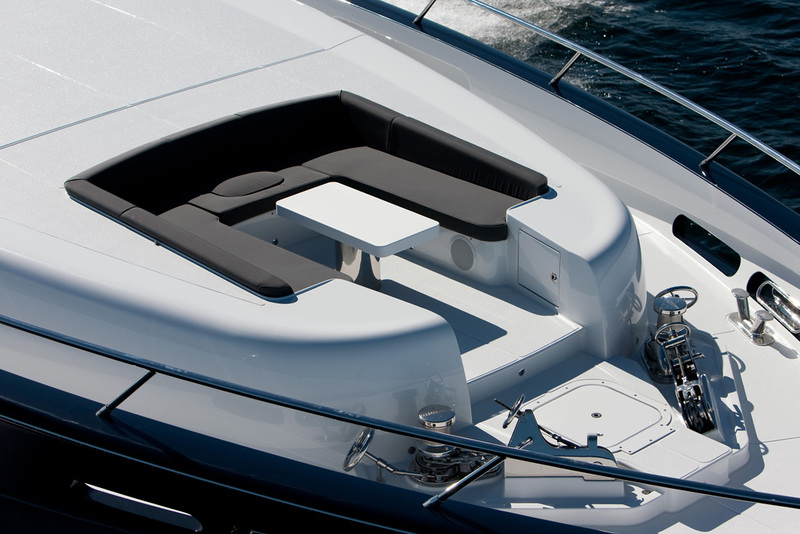 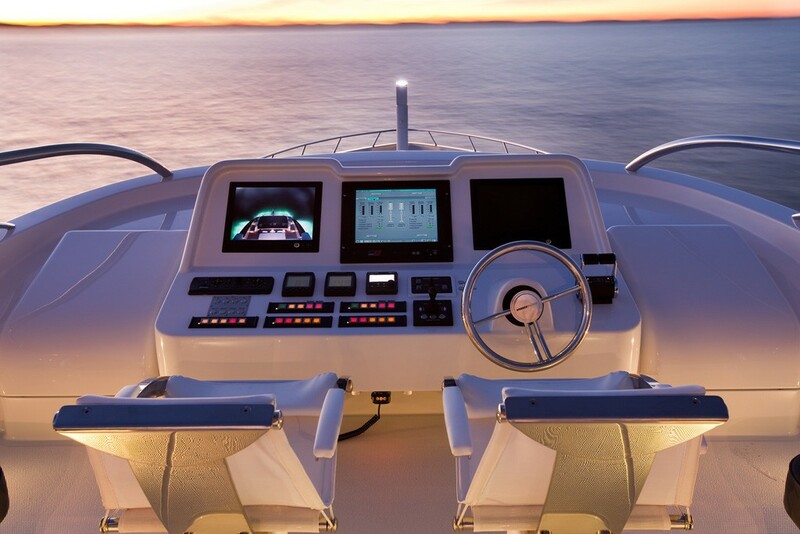 Those with an appreciation and determination to build a very personal yacht, one with a level of design, engineering and construction that rises above existing mediocrity, will find fulfilment waiting in the new Warren S120." 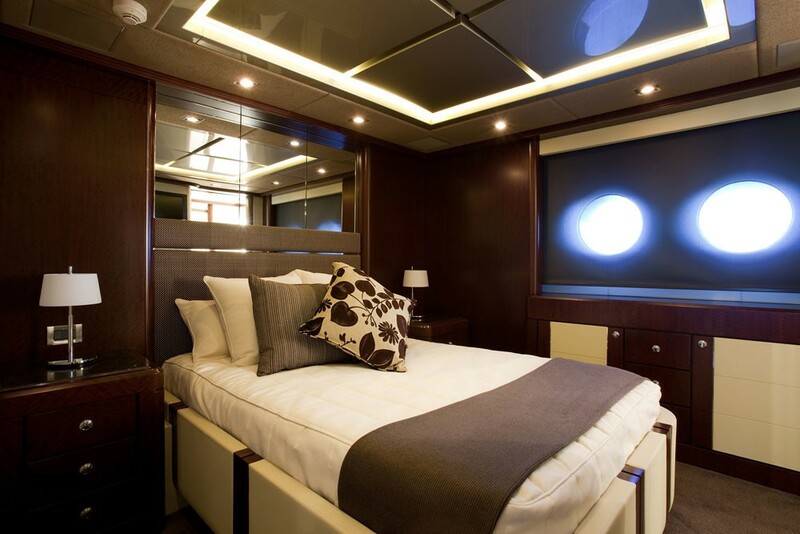 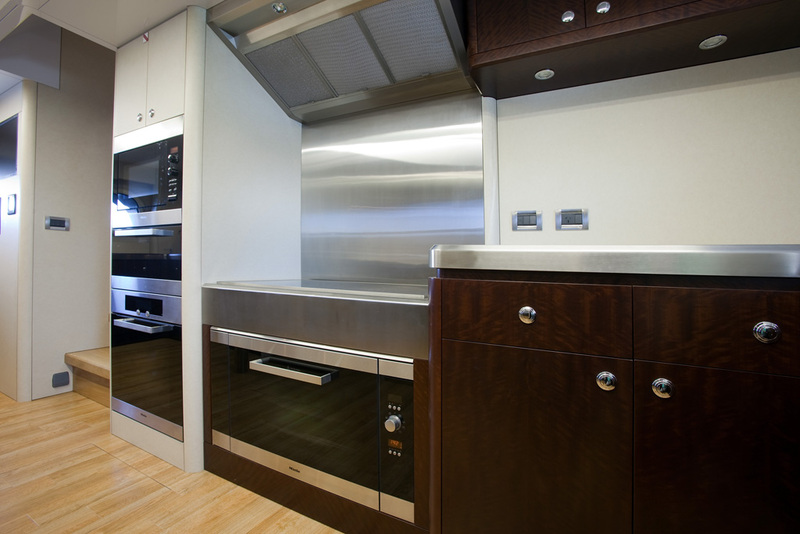 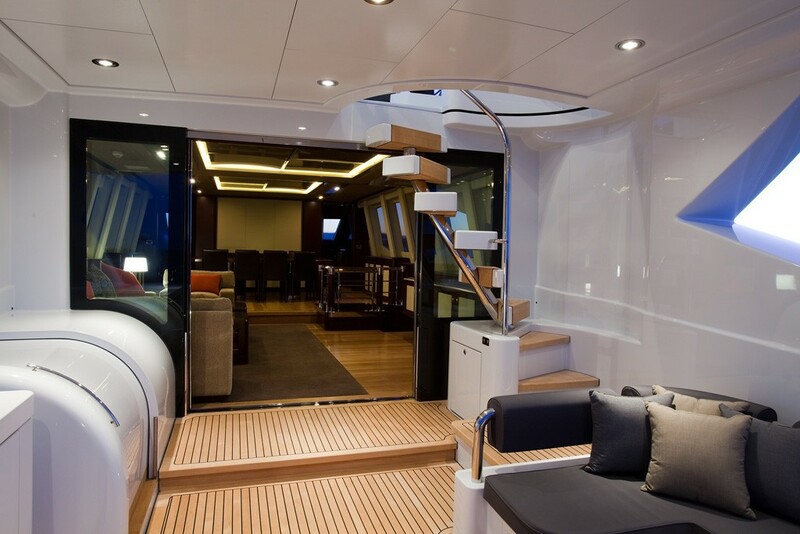 There is accomodation on board yacht QUANTUM for up to 8 yacht charter guests in 4 cabins. 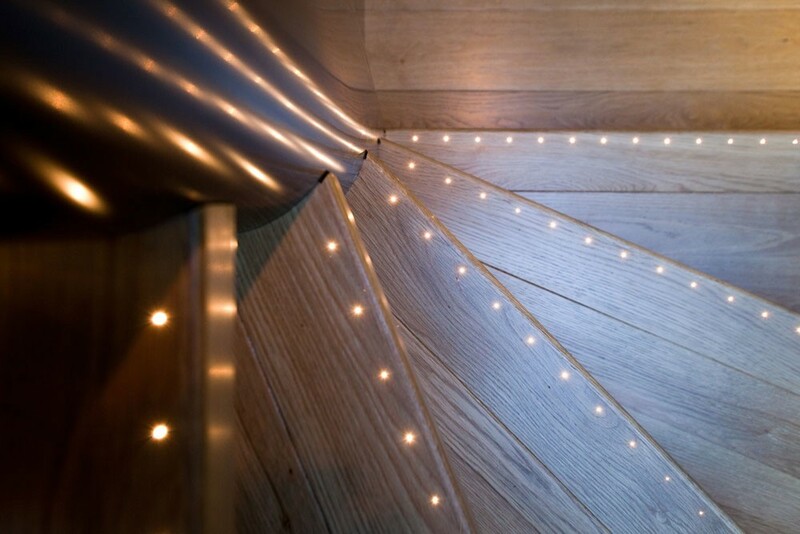 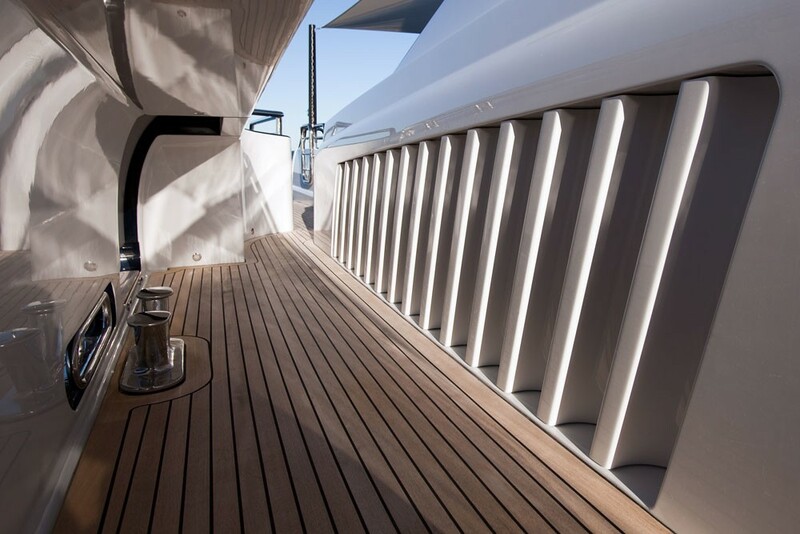 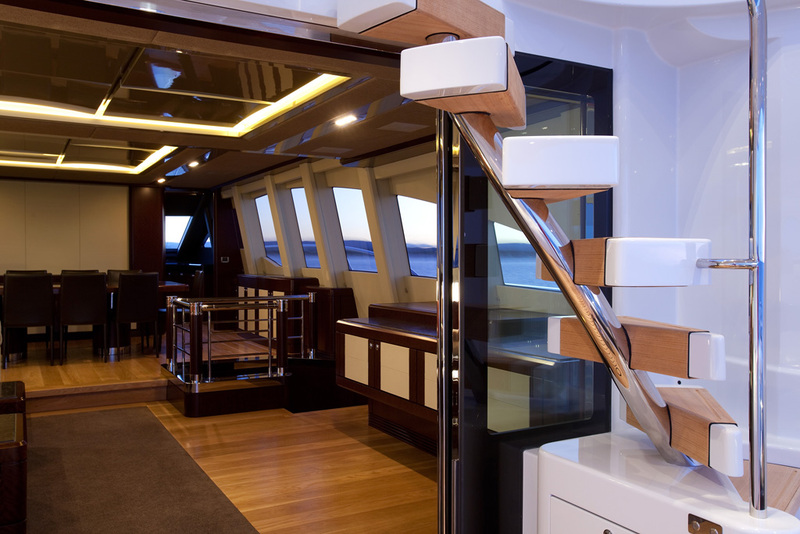 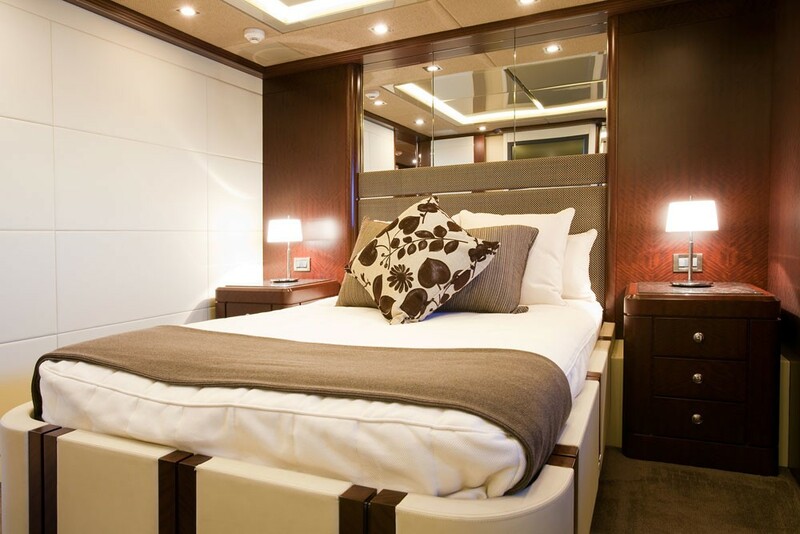 Superyacht QUANTUM's staterooms feature fine-grained Makore timber as complimented with high quality cream leather paneling and delicate stainless steel detailing. 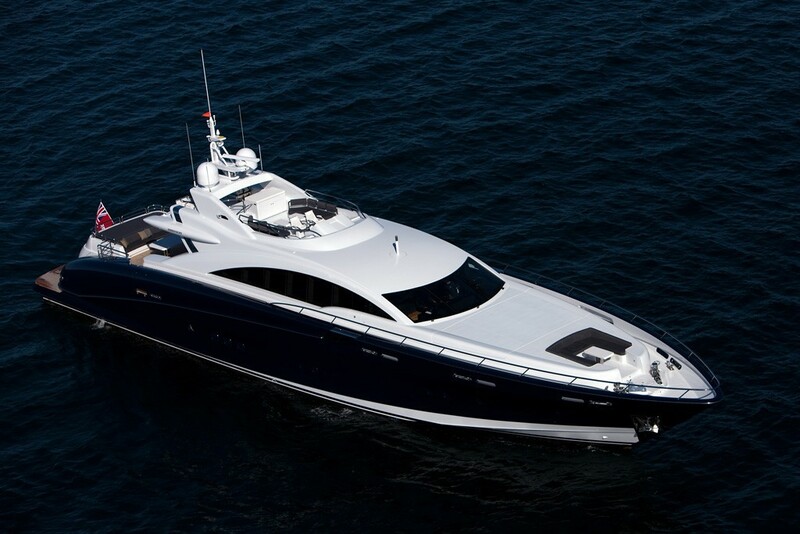 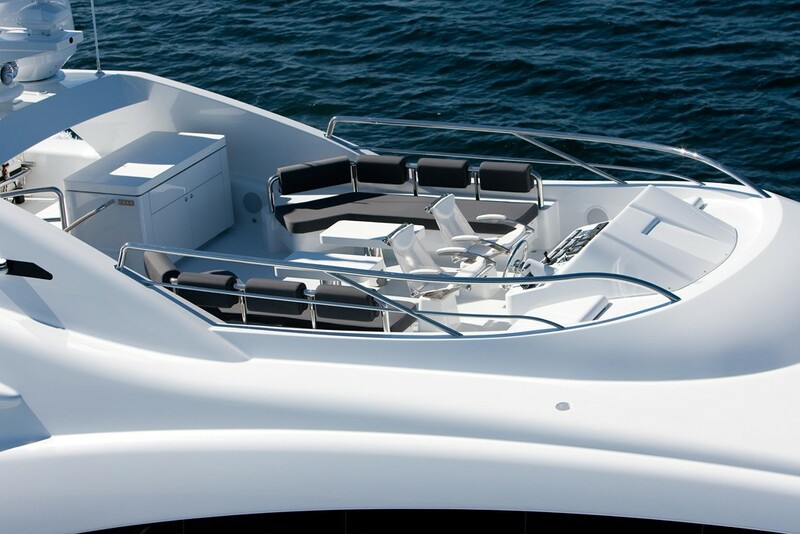 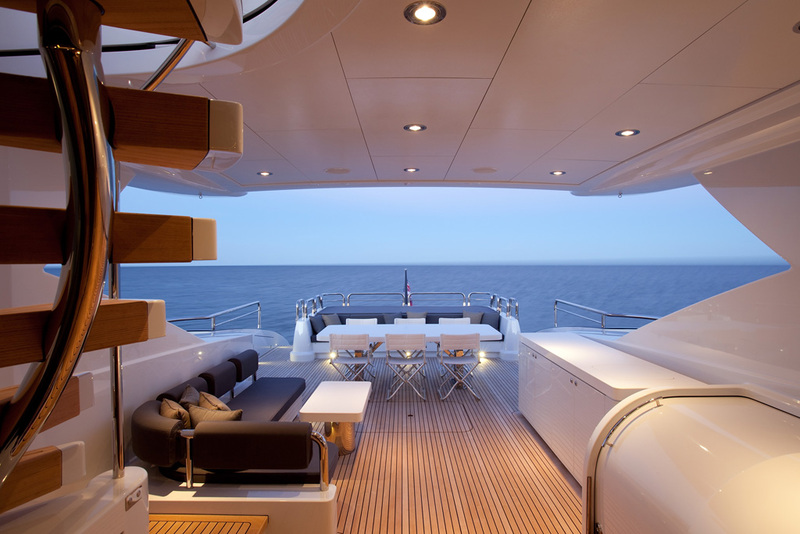 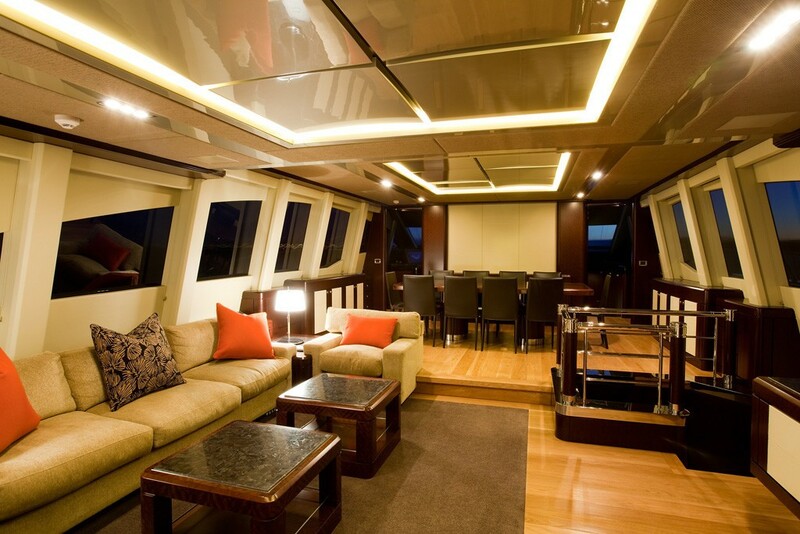 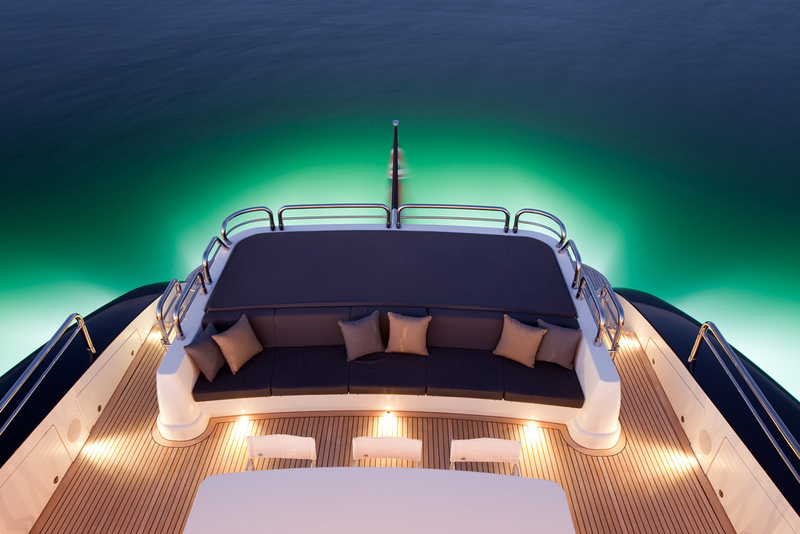 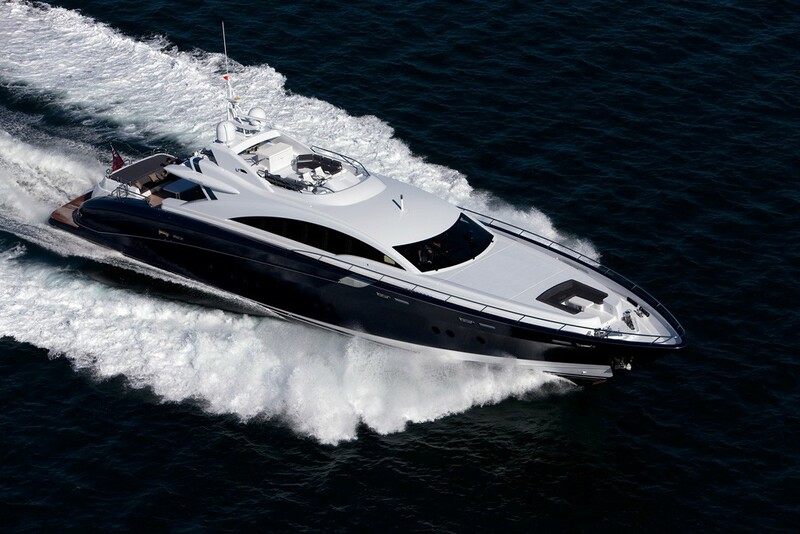 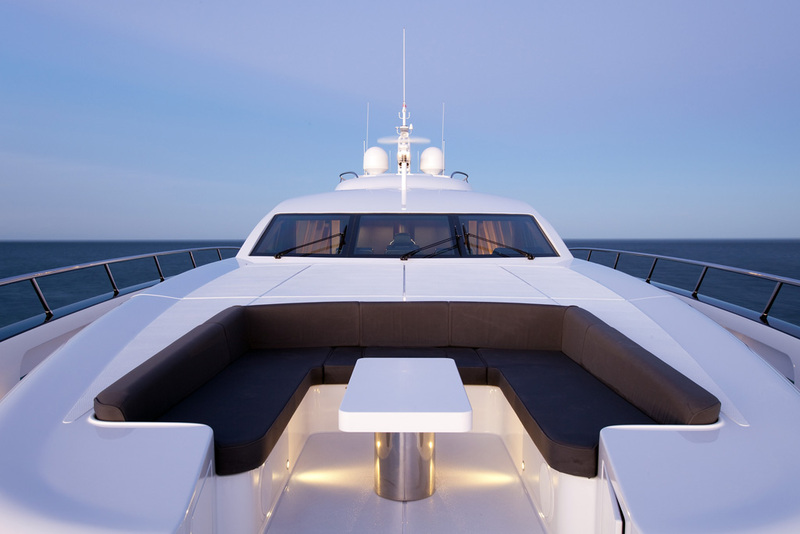 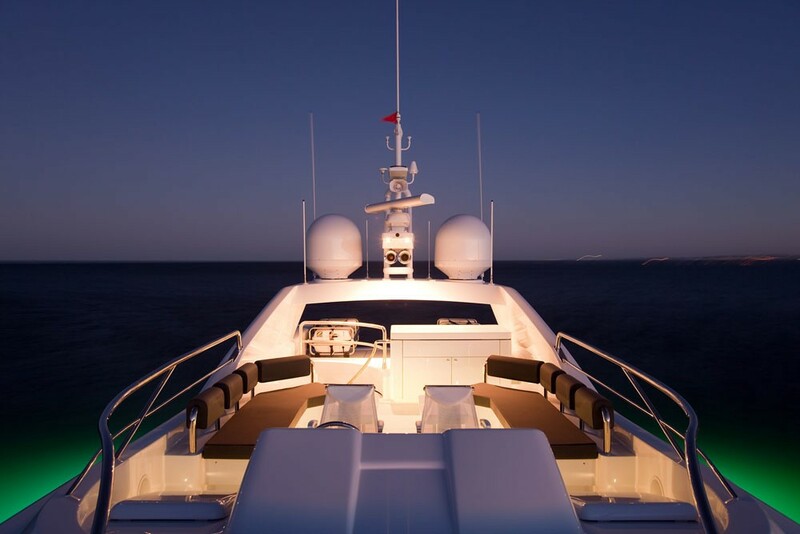 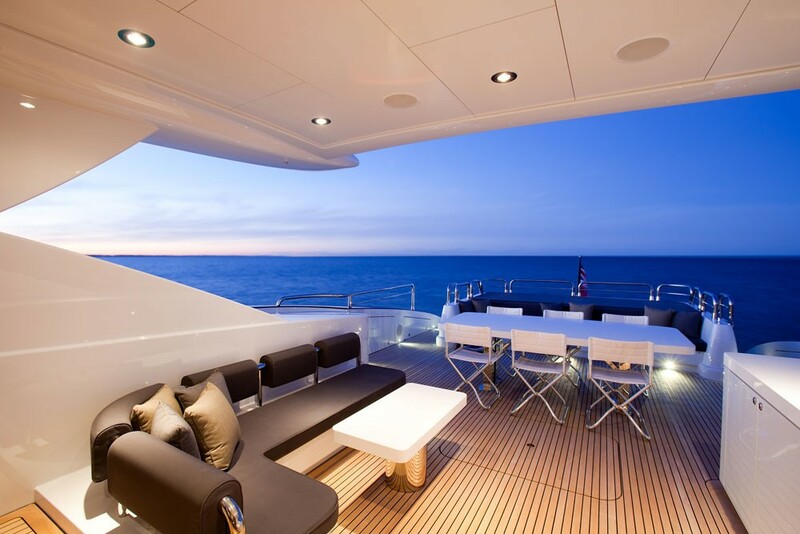 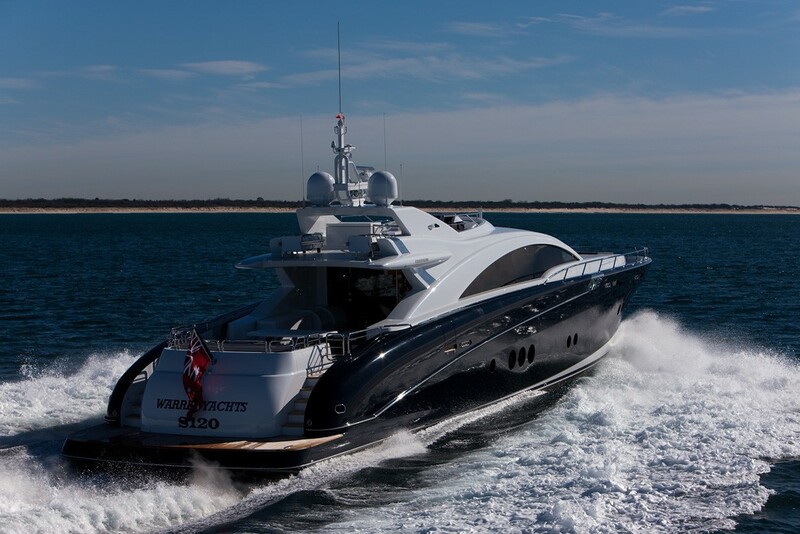 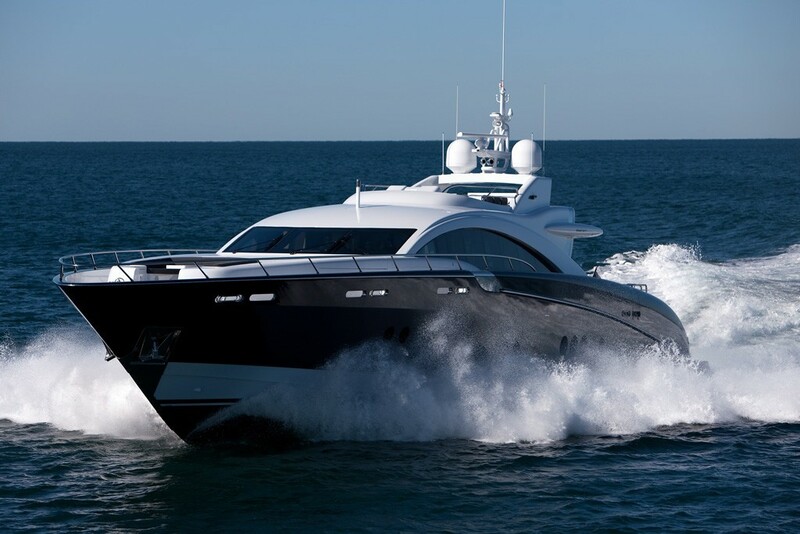 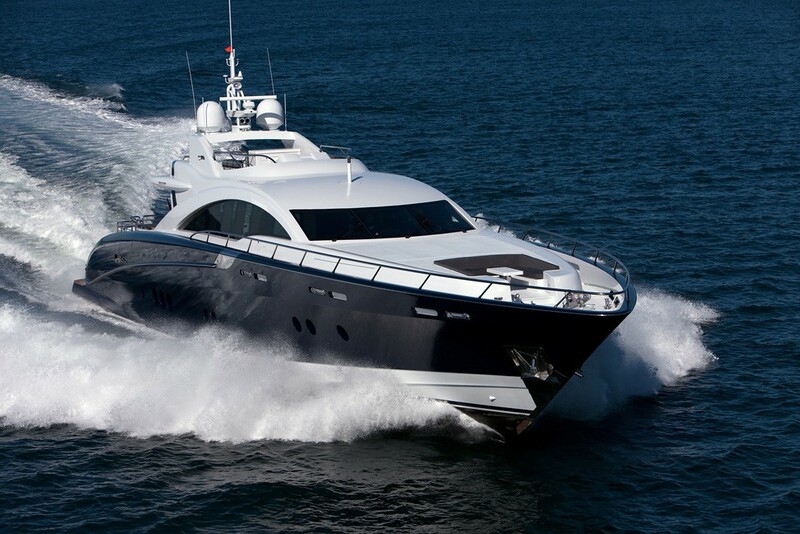 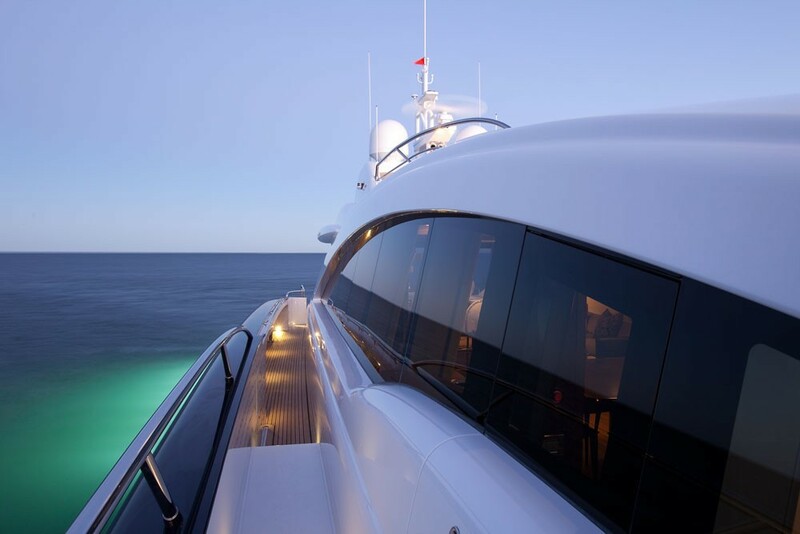 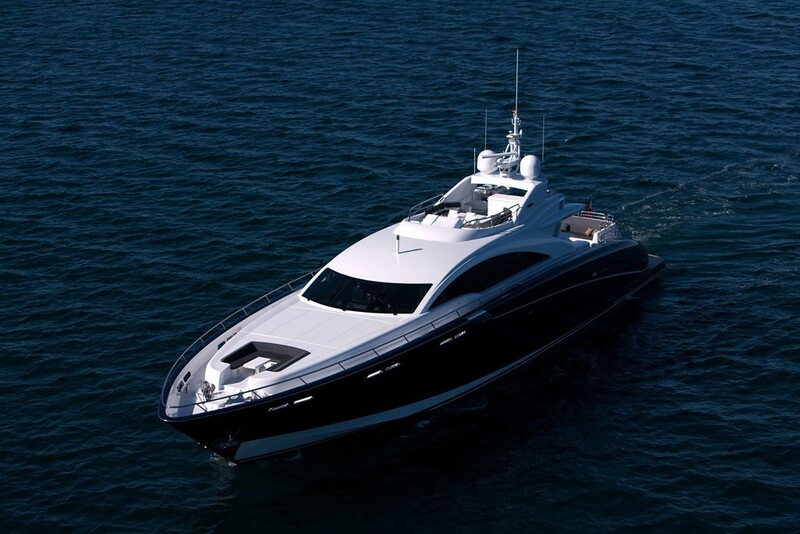 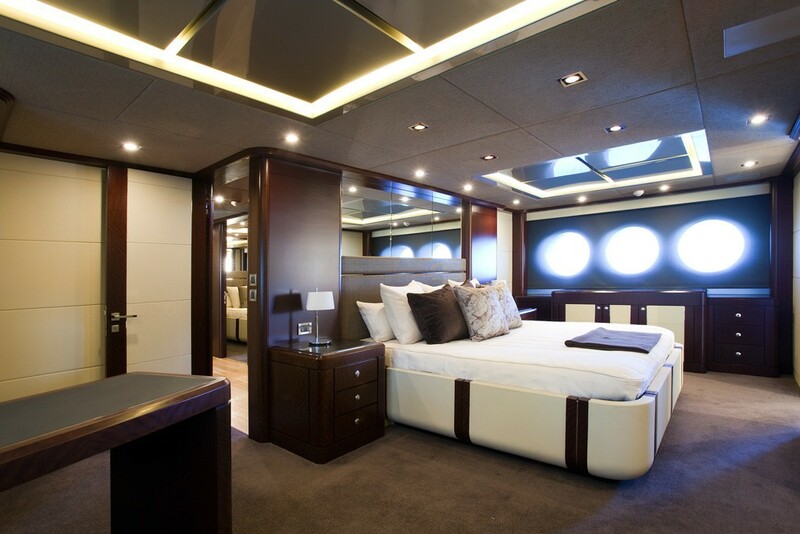 The motor yacht also accommodates six crew separately in 3 cabins. 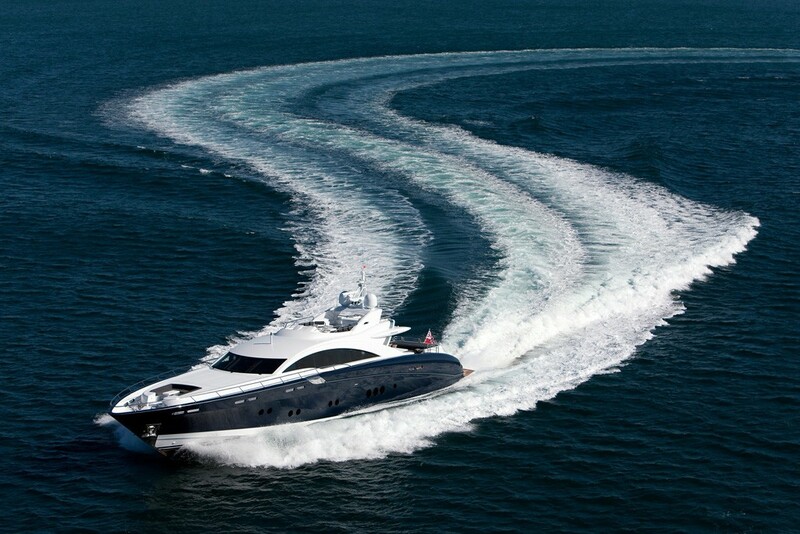 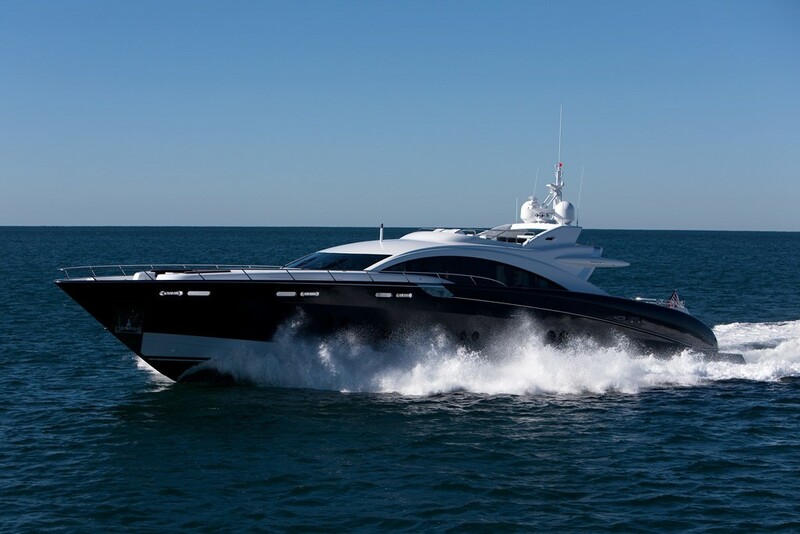 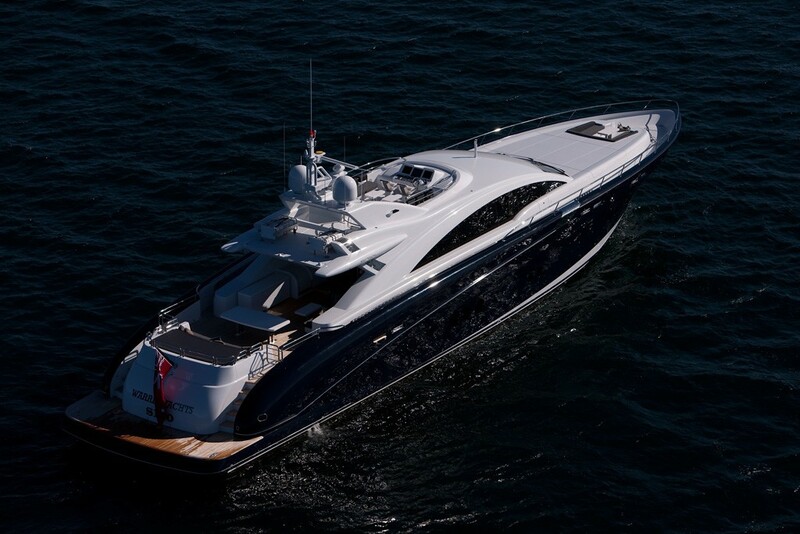 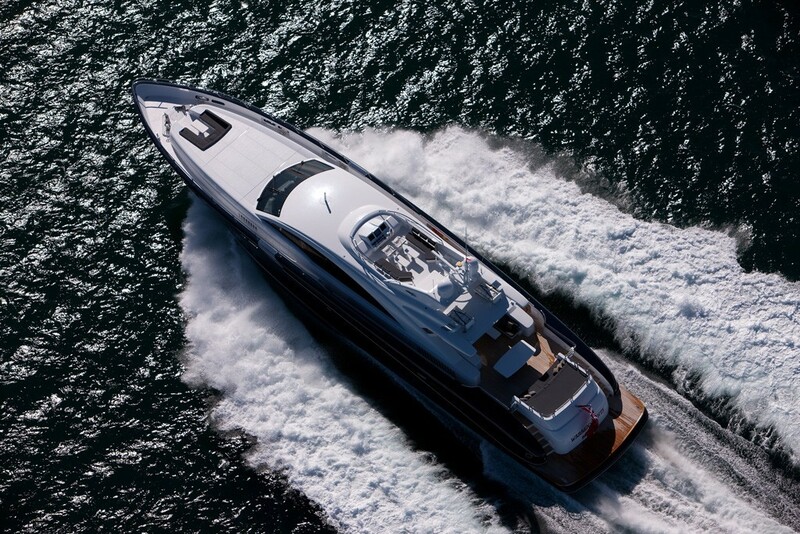 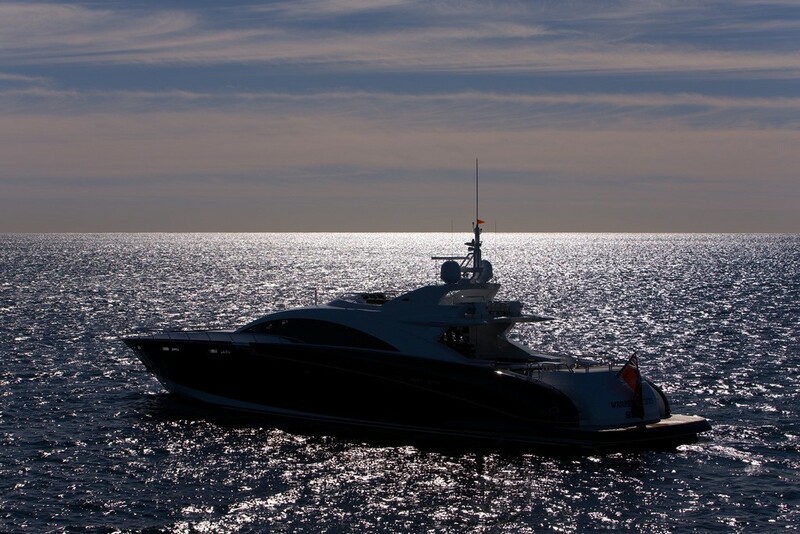 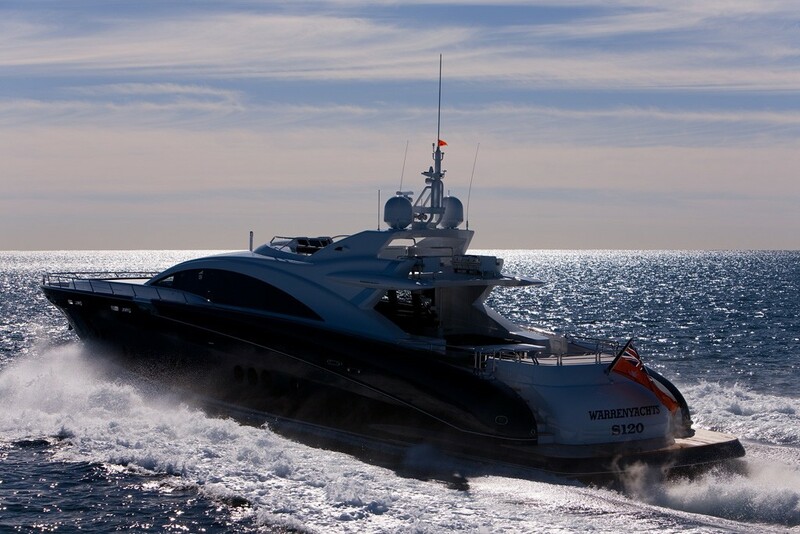 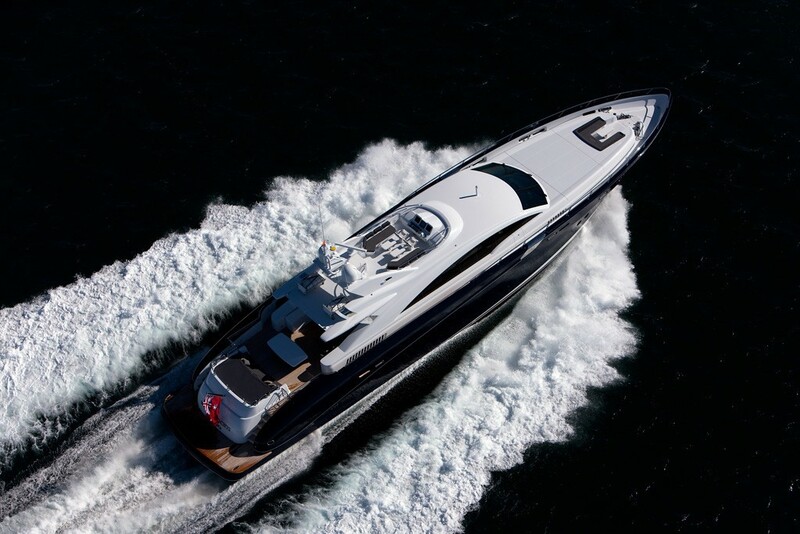 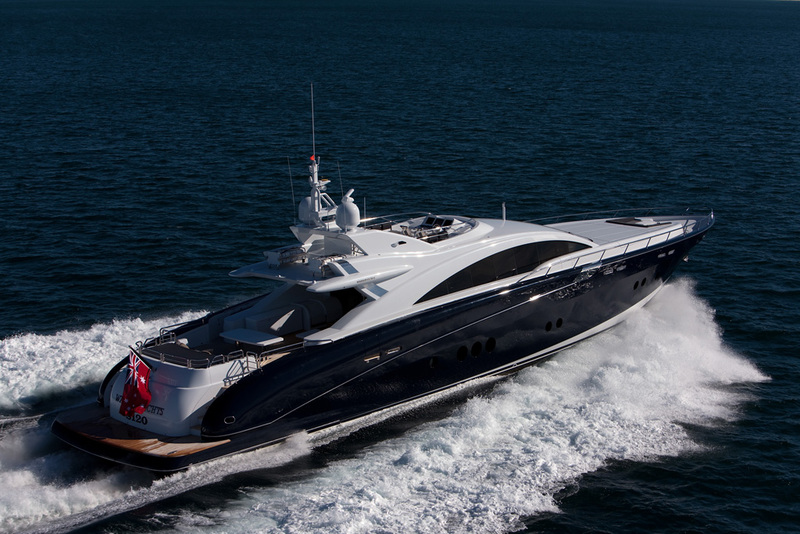 Please contact CharterWorld for the latest watertoy and amenity information on M/Y QUANTUM.